Jocelyn “Kim” grew up in Los Angeles, California. As a young girl interested in acting, she studied at the Jocelyn Center to increase her acting skill. She attended Cypress College and majored in drama and took French language classes. She made commercials for Fuji Films and Disneyland. Finding it hard to make a living acting in Los Angeles, she became a cosmetologist studying at The Vidal Sassoon Academy where she learned the backstage hair and makeup talents so vital to the performing arts. A lifelong dream of becoming a flight attendant, however, eventually led her to Pan Am. During her short career with Pan Am, Jocelyn touched many hearts with her quick wit and general zest for life. As one of her flying partners put it, “whatever she pursued it was with intelligence and endless enthusiasm. You could not easily forget Jocelyn. 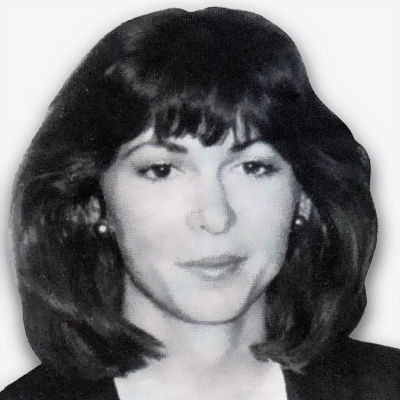 I hope you were lucky enough to have met her.” She began her career with Pan Am in January of 1988 and was based at La Guardia prior to joining the London base in April. Jocelyn was single and is survived by her parents Theodore (Ted) and Betty Reina, and her brother, John. Jocelyn proudly smiles while wearing her new-hire, silver probationary flight attendant wings. She was a newly minted Pan Am stewardess who had been with the airline for only eleven months, a 26 year-old aspiring actress who requested the London base to be close to its vibrant theater scene and pursue her passion for Shakespeare. 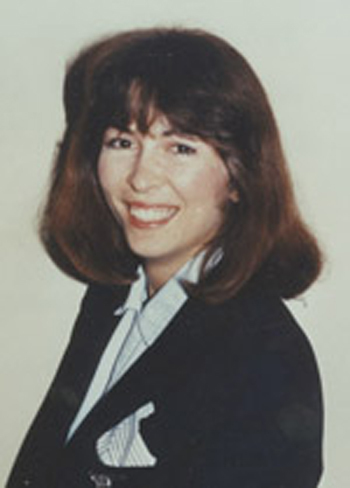 She was California- born Jocelyn Reina, and she died on board Pan Am’s Flight 103, the Clipper Maid of the Seas, when it exploded twenty-five years ago over Lockerbie, Scotland on Dec. 21, 1988. Two hundred fifty-nine passengers, crew, and eleven people on the ground were killed. Due to its iconic global image, Pan Am endured a number of hijackings and terrorist attacks over the years, but Lockerbie was the ultimate – the day the heart of Pan Am died. A plastic explosive was inserted into a radio-cassette player, along with a dual timer, set to go off at a specific altitude thirty minutes after scheduled departure from London. It was wrapped in children’s clothing, placed in a suitcase, and checked from Malta to Frankfurt, where it was transferred to Pan Am Flight 103 to New York. The terrorists intended the bomb to explode over the ocean, so no evidence could be found. But after take-off from Heathrow, Flight 103 was held at 6000 feet because of inclement weather and in-bound traffic. Late in reaching their cruising altitude, the pilots contacted Shanwick control to receive their clearances a few minutes after seven o’clock in the evening. When Shanwick radioed back, the Clipper did not respond. The bomb exploded in a baggage container far below the passenger deck in the forward part of the aircraft. The nose cone containing the cockpit was ejected from the fuselage, spewing out everything from baggage to dinner trays and passengers strapped in their seats. The nose cone then swung back toward the starboard wing, shearing off the number three engine. The resulting fire transformed the fuselage into a decapitated, flaming monster that twisted and turned through the night sky. It fell to earth in the Scottish village of Lockerbie, incinerating several houses upon impact and blasting a 30-foot wide crater in the ground. The bodies of the victims were strewn throughout the town, scattered at random over the golf course, draped in trees and lying in gardens. A dairy farmer found Jocelyn Reina’s body curled up in the fetal position as if she were just asleep, her blue uniform still intact, her gold wings sparkling. Last year, I was invited to attend the memorial service at Arlington by Jocelyn’s remaining parent, her father Ted. He had read Flying: A Novel, a book I co-authored with fellow flight attendant Paula Helfrich. It traces the lives of Pan Am crews flying the Pacific in the 1970s. Dedicating it to the Lockerbie victims, we began our Prologue with their long, terrifying plunge through the bitterly cold night sky. Mr. Reina wrote us a beautiful letter about how he had experienced a recurring nightmare during the first years after Jocelyn’s death: that she, too, had been falling, just as we had described it. We told him that the horror of imagining people tumbling to earth from 30,000 feet to the ground was more than we could bear, so we turned them around in mid-air, facing millions of glistening stars in the heavens, as they began their journey of flying into hope – and infinity. We believe our friends and passengers had a head start on the celestial voyage we will all take one day, guided by the same stars that have shown the way for travelers throughout the ages, from ancient sea mariners to the Pan Am Clippers in the days of the flying boats. Susan Gibbs Murphy: Jocelyn was in my training class, and she lived right down the street in Osterley (just down the Great West Road). She was so nice, sweet, and positive. I truly can’t remember her without a smile on her face. She was one of those kinds of people! It would be easier to remember Jocelyn Reina for how she died, in the bombing of Pan American World Airways Flight 103 over Lockerbie, Scotland, than how she lived. But to those who knew her, Kimberly Ann Jocelyn Reina will always be remembered as a young woman with the forgiving heart of a child, a gentle “beam of light” who flourished in a world that often seems consumed with hate. Jocelyn Maslac was the name most of us knew her by, but before she was married it was Kimberly Reina. And that was the name on her passport, which delayed us learning the news we dreaded. I first met her as Juliet in the straight Romeo and Juliet in which I played Friar Lawrence. eventually she joined the mongers, and we wrote her faire family history into my faire family as part of the large and prosperous Bright family (originally started by Richard Shannon). By 1988 she had gotten divorced and started working as a flight attendant for Pan Am because she really wanted to see the world. We knew she was based out of London, but, because of name confusions, her name did not initially appear on the list of victims of Pan Am 103 blown up over Lockerbie. At her funeral, those of us who knew her were invited to eulogize her, and I told the story of that first Faire together (we’d both worked Faires before, but our paths had never crossed). The actor playing Romeo was in his first Faire, and perhaps was a bit intemperate in his habits as well as his stage behavior. His blocking was off, and his grief (in character) at Juliet’s death sometimes led to painful drops and bruises for Jocelyn. So I spoke of the only time she did anything I thought might be in the least mean-spirited (though in my opinion justified). At the last show of Faire, Romeo decided to show all the main stage crowd how great an actor he was. He improvised, he ran all over the stage, he emoted, he did perhaps inappropriate and mildly injurious things to his late wife Juliet’s corpse, and most importantly, he ran the show over by several minutes. What could they do, fire him? The Celt show was already late in starting, and we could see their unexpected forbearance at the top of audience in not just chasing us off the stage. Finally, as Romeo climbed the stairs needlessly for the second time, I walked on stage prematurely as Friar Lawrence, rolled my monk’s robe’s sleeve up to expose a highly non-period wristwatch, looked at Romeo, looked at the watch, and walked back off stage shaking my head, to some of the biggest laughs I ever got. Romeo got the message and died. Juliet/Jocelyn in due course awoke, I entered to deliver my line “Your husband there lies dead”, and Jocelyn, (who’d been lying in pain on that hay bale for way too long) verified this by picking his head up by the hair and then releasing it with an audible thud. As I said, the only mean-spirited thing I ever saw her do If you’d seen her bruises, you’d have forgiven her as well. She would want to be in the list of absent friends, and probably as Jocelyn Reina. At first it was just another story. Tom Brokaw and lots of tape. Big headlines in the morning paper. Another plane crash. I watched. We watch, don’t we? We see the wreckage and we hear the witnesses. We always get to see the “see agent” notice on the arrivals board, the relatives being hurried into VIP lounges. There are always the stories brimming with terrible irony. The man who missed the plane. The crew member who was going to retire. And we heard the speculation about sabotage. It could have been structural failure, the experts said, but it could have been a bomb. And we knew all along, I think. We weren’t surprised, were we, when they finally said yes, it was a bomb. She liked them and found out who I was and introduced herself and we became friends. Not good friends, just friends. Part of a group. There was Mike and Walt and Stacey and Kim and Kevin and me and Kevin and Eric. Just names, just kids. We hung out and listened to records and went to school and drank and watched TV and went to the movies and to see bands and we worked jobs sometimes and loitered in the park and smoked pot. And sometimes she was there and sometimes she wasn’t. She was going to be an actress then, and partly because she wanted a stage name and partly because she was tired of being called Kimberly, she changed her name to Jocelyn. We went to see her act in some plays at the junior college and she wasn’t bad, I guess. I don’t know really. She was just Kim. She was just Jocelyn. And I went away to college and she got married, and slowly the acting career faded away and she did other things. She just worked. She was a hair stylist for a while. I didn’t see her for years. She got divorced. And now I only keep in touch with Mike from the old group, and a few months ago he saw her again. She was working as a flight attendant and she was on a quick stopover in San Francisco. She was living in England and having such a good time and she liked her job. But she was so tired. Well, maybe next time I’m in town we’ll have more time. I won’t be so exhausted. yes, next time you’re in town. And Mike went to visit her family for the holidays and his sister showed him a line in the newspaper and changed Christmas for him this year and probably next year too. And he called me and left a cryptic message on the machine, so I called his parents and they told me why he’d called. And I put a picture of Jocelyn in my mind. There she was. And I tried to picture what it must have been like. What she went through, what she thought, what she felt. And of course I couldn’t. I couldn’t begin to imagine. Nobody important, nothing ironic. Not anybody Tom Brokaw might single out. Just a name. Just another victim. I met Jocelyn only one or twice. It wasn’t until sometime after Lockerbie that my friends and I found out that she had become a stewardess for Pan Am, and had been on Flight 103. Now as a baggage inspector for the TSA, Jocelyn’s memory adds a sense of urgency to what I do every day. May she always live on in the hearts of those she left behind. I knew Jocelyn Reina in junior high and High School. During the summer of eighth grade, she was on the alternate cast of the play Merchant of Venice at Walker Junior High School. I was bassanio and she was Portia. We had two casts. She was a very friendly and happy woman. I remember hearing about her death reading about it in the Orange County Register. To this day I think about her anytime somebody mentions the Lockerbie Scotland bombings. She went to England to follow her dream to be close to Shakespeare. She’s followed her dream. We will all miss her. Major Stephen Conway United States Army Reserve and Kennedy High School class of 1980.